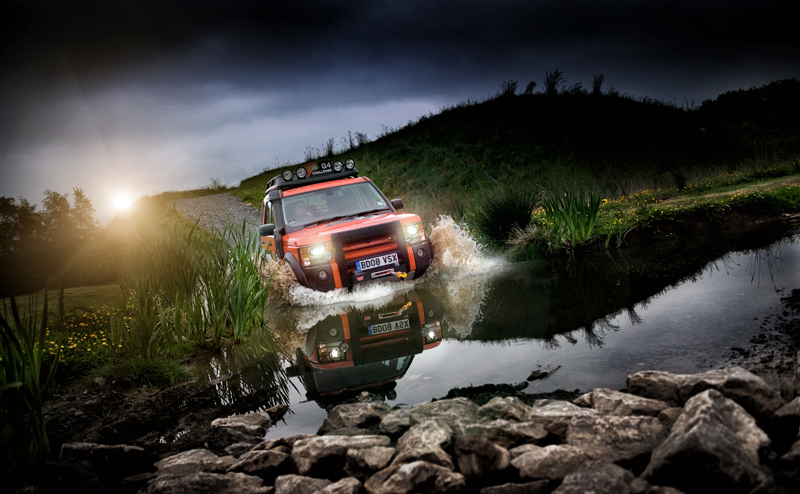 Part of a series of work shot for the Land Rover Experience at Land Rovers plant in Halewood. The work in this area is very much an example of portable studio lighting being used to drop the ambient levels and aid creating a dramatic backdrop for the vehicles on a commercial car shoot. Most of the here was shot for use in marketing by Land Rover and was completed on Hasselblad and Nikon full frame equipment. More information on past and future events can be found on our news page 'The Hype'.